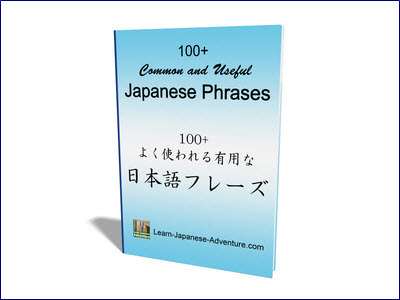 Learning Japanese through Japanese learning software can be quite effective too. Personally I still prefer the classroom-style environment where I can interact directly with my Japanese teacher. However, I understand that many people cannot commit to attend a regular class due to irregular working hours, busy schedules, frequent overseas travels, financial issues, or many other personal reasons. 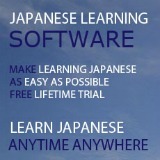 If that's the case, learning through Japanese learning software can be a good alternative choice. Note: some of the links below are affiliate links, meaning I get paid a commission (at no extra cost to you) if you use that link to make a purchase. Rocket Japanese 2019 Edition let you learn to speak Japanese at your own time and pace. Because all lessons are stored online, you can simply learn Japanese anytime and anywhere so long you have internet connection. If you prefer, you can download all the audio tracks into you computer, or transfer them to your iPod/MP3 player. You can then listen to them anytime, anywhere, all according to your personal preference. 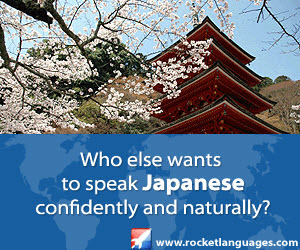 You can now even access Rocket Japanese from any tablet or smartphone because through the app that comes with every Rocket Japanese course. This online Japanese course has more than 70 language lessons that cover everything you need for daily conversations - from greetings and self-introduction to asking for directions to knowing what you need to say when shopping, dining, traveling, and even emergencies. It gives you the feeling of the real-life situations that you will encounter if you are living in Japan. You will also be able to write hiragana, katakana and many kanji at ease after completing the Writing Lessons. At the end of each lesson, you'll see the Rocket Reinforcement activities which are specifically designed to help you in speaking Japanese and to enhance your recalls of what you have learned within the lesson. When you have completed all the lessons within a module, you can take the Rocket Certification! And if you pass the certification you'll receive a certificate of achievement. Worry about nowhere to get help? You can always get your questions answered in the Rocket Japanese Forum where you have 24/7 unlimited access after signing up. Learn More About Rocket Japanese 2019 Edition ». I want to highlight some greatest benefits you will gain with its best features that I personally think worth spend your money. One of the best parts that I like about the Rocket Japanese Premium is its voice recognition feature - Rocket Record. I think this feature alone is already worth all your money spent on this software because it helps you speak perfect Japanese. We all know that it's always difficult to speak like a Japanese native speaker, mostly because of our own accent. You can easily differentiate if a person speaks good Japanese just by listening to his/her speech. Let's face it. Unless you live in Japan and have the chance to listen and speak to the natives for several years, it's unlikely you can speak like them, even in a classroom environment. However, Rocket Record let you record your own voice on a Japanese word or phrase after listening to the native speaker saying the same word or phrase. It will then give you instant feedback, rating you out of 100, and showing you what you got wrong. You can repeat the process hundreds of times until your voice sounds perfect, all at your own pace. By that time, you know your Japanese pronunciation is almost perfect for that particular word or phrase. You can never do this in a normal Japanese class as the teachers don't have that much time to concentrate on correcting all your pronunciations. I simply love this voice recognition tool that you cannot find elsewhere in other Japanese learning software. I have to admit that my Japanese pronunciation is not perfect even though I have been studying Japanese for many years. But my pronunciation has been greatly improved after using this Rocket Record feature. Now I speak Japanese more fluently and confidently without second guessing the intonations of the Japanese words or phrases. The reason I am recommending this Japanese learning software to you is because it provides this brilliant feature that my site lacks. 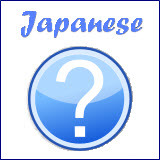 While I think my site does a good job of providing many basic and intermediate lessons and a great list of vocabulary, this software feature let you perfect your pronunciation and build up your confidence to speak Japanese. One thing I don't like about the software is that the Japanese pronunciation of the co-host (Kenny Squire) in the interactive audio lessons is not that accurate due to his English accent. But some of the Japanese voice maps are based on his voice. This makes me wonder how we can perfect our pronunciations if we were to match his voice maps. We all want to speak like a Japanese native speaker eventually and not like Kenny with his English accent. Fortunately, you still have many chances to listen to the native host, Sayaka Matsuura, repeating the same Japanese words or phrases in the same audio lesson to perfect your pronunciation. And many of the same words and phrases are also repeated in the Language and Culture Lessons by Japanese native speakers with the recording feature. If your time is precious and want to learn to speak Japanese quickly, learning through Japanese learning software is the best choice. If that's the case, make it Rocket Japanese. It will definitely be money well spent for you. Order and Start Learning through Rocket Japanese 2019 Edition now ».